The landslide victory of Hamas in the Palestinian parliamentary elections exposes the mistake of the Bush administration in promoting democracy as the solution to problems in the Middle East and elsewhere. Darwinian conservatives are committed not to pure democracy but to limited government. A Darwinian view of imperfect human nature suggests that no one is to be trusted with unchecked power, even when that power has been conferred by popular election. To secure ordered liberty, we need a system of balanced government under the rule of law based on the principle of countervailing power so that power checks power. By contrast, Bush and the neoconservatives have adopted a utopian view of democracy based on popular sovereignty as the solution to the world's problems. But what happens when a majority of the people elect Islamic terrorists as their rulers? If pure democracy is our only standard for good government, we cannot object. But if limited and balanced government is our standard, then we can condemn pure democracy when it does not prescribe that power is to be limited and balanced. The foolishness of embracing pure democracy through majoritarian rule is also evident in the neoconservative advocacy of presidential leadership acting outside the rule of law to exercise "wise discretion" in response to emergencies. To assume that a popularly elected president should be free to act outside the law for what he judges to be the public good is to assume a utopian view of human nature that ignores the corrupting effects of giving unchecked power to ambitious rulers. Stephen Barr's "The Miracle of Evolution"
In Darwinian Conservatism, I argue that there is no necessary conflict between biblical religion and Darwinian evolution. Darwin employed the metaphor of God as speaking through two books--the Bible as His word and nature as His works--which was commonly used by Christians to justify the scientific study of nature as compatible with reverence for the revelation of Scripture. All explanation depends ultimately on some ground that cannot itself be explained. Natural science ultimately relies on the laws of nature to explain the observable world of ordinary human experience. But if we ask why nature is lawful in this way, the naturalist has no answer except to say, that's just the way it is! The biblical believer will appeal to God as the Creator of nature. But if we ask why God is the way He is, the believer has no answer except to say, that's just the way He is. We must ultimately rely either on an uncaused nature or on an uncaused God. Even if Darwinian naturalism could explain the emergence of all life through natural evolutionary causes, that would still leave open the possibility that God as Creator of nature chose to work His will through such natural causes. In the February issue of FIRST THINGS, physicist Stephen Barr has an article with the title "The Miracle of Evolution." Barr agrees with me that Darwinian evolution does not necessarily deny biblical religion. This is significant because generally the people at FIRST THINGS--a leading journal of the religious conservatives--have agreed with the proponents of "intelligent design theory" in assuming that Darwinian evolution must be atheistic. Oddly enough, such conservatives agree with atheists like Richard Dawkins and Daniel Dennett on this point. But Barr points out that the declarations of atheists like Dawkins and Dennett express a philosophical commitment to atheism that has no necessary grounding in natural science. "If biology remains only biology, it is not to be feared. Much of the fear that does exist is rooted in the notion that God is in competition with nature, so that the more we attribute to one the less we can attribute to the other. That is false. The greater the powers and potentialities in nature, the more magnificent must be nature's far-sighted Author, that God whose 'ways are unsearchable' and who 'reaches from end to end ordering all things mightily.' Richard Dawkins famously called the universe 'a blind watchmaker.' If it is, it is a miracle enough for anyone; for it is incomparably greater to design a watchmaker than a watch. We need not pit evolution against design, if we recognize that evolution is part of God's design." Conservatives believe that ordered liberty requires limited government with a balance of powers under the rule of law. In Darwinian Conservatism, I argue that a Darwinian view of human nature supports this principle of balancing power. In every human society, there is a dominance hierarchy in which an ambitious few seek to dominate the many, while the many resist tyrannical dominance by the few. A representative government with a balance of powers allows those with political ambition to seek public office, while preventing them from becoming despotic. This satisfies the evolved desire of the ruling few to dominate while also satisfying the evolved desire of the subordinate many to be free from despotic dominance. The United States Constitution shows this system of balance based on countervailing powers in which ambition counteracts ambition. But what happens when in times of war or emergency, it seems necessary for the president to act at his own discretion to do whatever is required to meet the urgent demands of the moment? In such circumstances, must the discretionary power of the president prevail over the rule of law? The Constitution's answer is that in such cases, the president does have extraordinary power to exercise discretionary judgment outside the normal laws. But still, the Congress and the courts provide a check on the president to prevent him from abusing his emergency powers. The president has discretionary power, but it is confined and structured by the constitutional system of balanced powers. Recently, it has been revealed that President Bush has secretly authorized spying on American citizens in violation of the 1978 Foreign Intelligence Surveillance Act, which dictates that such spying must be approved by a secret court of judges. In a recent issue of The Weekly Standard, Harvey Mansfield has defended the constitutionality of Bush's action as an exercise of the discretionary power of the President to act outside the rule of law in time of emergency. I agree with Mansfield that the Constitution combines law and discretion. But I disagree with his implied suggestion that the emergency powers of the President cannot properly be checked by the Congress. To appeal, as Mansfield does, to the "wise discretion" of the President as free from congressional checks is to deny the principle of balanced government. "Separation of powers was a republican invention of the 17th century, but the Framers improved it when they strengthened the executive. They enabled the executive to act independently of the legislature and not merely serve as its agent in executing the laws. In the current dispute over executive surveillance of possible terrorists, those arguing that the executive should be subject to checks and balances are wrong to say or imply that the president may be checked in the sense of stopped. The president can be held accountable and made responsible, but if he could be stopped, the Constitution would lack any sure means of emergency action. Emergency action of this kind may be illegal but it is not unconstitutional; or, since the Constitution is a law, it is not illegal under the Constitution." I would ask, how or by whom is the president "held accountable and made responsible"? Doesn't the Constitution provide that the accountability and responsibility of the president is enforced by the Congress? Only by this congressional check on presidential power in emergencies can the principle of balanced government be secured. Mansfield cites The Federalist as arguing for an energetic executive that introduces monarchic efficiency into republican government. But Mansfield does not cite the arguments of The Federalist as to how the powers of the president differ from those of the British King, because the president's powers are checked by the Congress. In all of those cases where the abuse of the executive authority is most to be feared, The Federalist explains, the president will be "subjected to the control of a branch of the legislative body." The most dramatic example of such a legislative check on the executive is the power of impeachment. Unfortunately, in recent history, the Congress has often been reluctant to exercise their constitutional powers for checking presidential discretion. While looking to the federal courts to restrain the president, members of Congress have failed to employ vigorously their own powers for stopping the president when he acts illegally. To assume that we can trust the "wise discretion" of the President, unchecked by the Congress, is to assume a utopian view of human nature that denies the insight of Darwinian conservatism that political rule tends to become tyrannical when it is not limited by a system of balancing powers. One of the most thoughtful attacks on Darwinian conservatism has just been published by Spence Publishing--Carson Holloway's THE RIGHT DARWIN?--EVOLUTION, RELIGION, AND THE FUTURE OF DEMOCRACY. Holloway is now a professor of political science at the University of Nebraska at Omaha. Ever since he was a Ph.D. student in my classes at Northern Illinois University, we have been carrying on a vigorous but friendly debate over these issues. Although I have not yet read the final published book, I have read the manuscript for the book. My comments will be based on the manuscript. Holloway argues that Darwinian conservatism is both illusory and dangerous. The Darwinian conservatives are people like Francis Fukuyama, James Q. Wilson, and me--conservatives who think that a Darwinian view of human nature supports a conservative understanding of social and political order. 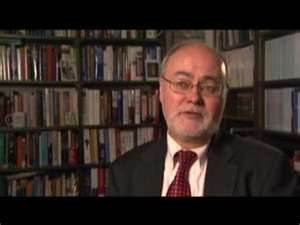 One of Holloway's main ideas is that a Darwinian account of morality as rooted in human nature cannot sustain morality, because morality is impossible without religion, and Darwianian science denies religious belief. In developing his reasoning, he relies heavily on Alexis de Tocqueville as a democratic conservative who saw the importance of religion for moral order. When Holloway says that morality necessarily depends on religion, what does he mean by "religion"? Any religion? Would Holloway agree with conservatives like Edmund Burke and Russell Kirk who quote pagan philosophers like Cicero on the virtues of religious belief, and thus imply that pagan religion is as good as any other? Or does a morally healthy religion depend on specific doctrines that supply the necessary and sufficient support for morality? Sometimes Holloway speaks of "revealed religion." What does this mean? Does this include more than biblical religion? This would seem so, because he associates Aristotle with "revealed religion." But it's hard to see how Aristotle's account of religion depends on "revelation." Is it necessary to distinguish "true religion," which provides the necessary support for morality, and "false religion," which does not? Or is Holloway implying that even a "false religion" supports morality? If so, how so? Would any of the biblical religions--Judaism, Christianity (both Catholic and Protestant), Mormonism, and Islam--provide the necessary support for morality? Sometimes Holloway appeals to Christianity. Does this mean that Judaism and Islam do not support morality? Sometimes he speaks of "Catholic Christianity." Is this meant to imply that Protestant Christianity is not as reliable? Since Holloway does not specify the doctrinal content of religion, I wonder if he is implying that doctrinal content is not important for supporting morality. As I read Tocqueville, he is applying to America Rousseau's idea of "civil religion," in which the only required doctrines are the existence of a providential God who enforces a moral law by punishing the bad and rewarding the good. Is this the doctrinal content of the morally healthy religion? I don't see much evidence that Tocqueville himself was an orthodox believer. In his letter to Madame Swetchine (February 26, 1857), he describes his loss of faith at age 16. He does, however, suggest that he held onto some vague notions of God and an afterlife, suggesting some kind of Deism. Is this enough for the kind of religion that Holloway has in mind? Does it make any difference whether Tocqueville himself was a sincere religious believer? How would Holloway's view of the moral necessity of religion differ from David Sloan Wilson's Darwinian (and Durkheimian) account of the social utility of religion in binding people into cooperative communities? Would Holloway say that the only religion with social utility is the one with true doctrines--namely, Christianity? Holloway repeatedly asserts that religion supports some very specific moral positions--such as condemning slavery. But he never cites any specific religious texts to show how they necessarily support the moral positions that he favors. The case of slavery and "universalism" illustrates the problem. He assumes that religion necessitates a "universal" morality that would deny the morality of slavery. But many religious traditions have allowed slavery, and the Bible never condemns slavery or calls for its abolition. On the contrary, in the American debate over slavery, Christian defenders of slavery were able to cite specific biblical passages in both the Old Testament and the New Testament supporting slavery. Opponents of slavery had to argue that general doctrines such as the creation of human beings in God's image implicitly denied the justice of slavery. But they could never cite any specific passage of the Bible for their position. Here's a clear case of where the moral teaching of the Bible depends on our coming to it with a prior moral understanding that we then read into the Bible. Holloway speaks of the moral universalism required for opposing Nazism. Is there any evidence that those who rescued Jews in World War II were all moved by religious belief? My impression is that religious belief was not decisive for the rescuers. And, of course, there is a continuing controversy over whether the Christian churches in Europe did enough to oppose Hitler. The German Lutheran Church was inclined to interpret the 13th Chapter of Romans as dictating obedience to the authorities. Martin Luther himself was brutal in his expression of anti-Semitism. How would Holloway explain cases like this? Would he say that the true doctrines of biblical religion always require universal love, and therefore any behavior by a biblical believer that violates universal love is based on a misinterpretation of biblical doctrine? Holloway refers to President Bill Clinton's moral lapses with Monica Lewinsky. But Holloway fails to acknowledge that Clinton met regularly with ministers, prayed for foregiveness, and (he said)was forgiven by Jesus. Holloway might accuse him of being insincere, but the point is that a "civil religion" cannot distinguish between sincere and insincere professions of faith. In his chapter on the family, Holloway seems to say that marriage and the family cannot be sustained based on nature alone, in contrast to Thomas Aquinas's distinction between marriage as a natural bond and marriage as a supernatural sacrament. But it seems to me, as I argue in my book, that familial bonding satisfies natural desires that will be universally expressed regardless of religious beliefs. In fact, entire civilizations that have had little or no religious belief--such as Confucian China--have nevertheless promoted familial bonds and duties. The idea that morality has no natural ground and that it would disappear if people did not obey the commands of God implies a kind of nihilism. If God does not exist, then everything is permitted. I don't agree. Morality is rooted in human nature--in moral sentiments and moral reasoning deeply embedded in the evolved nature of the human animal. Religion can reinforce that morality. And conservatives should always respect religious traditions that sustain morality. But Darwinian conservatives will see that morality can stand on its own natural ground, even without religious support.